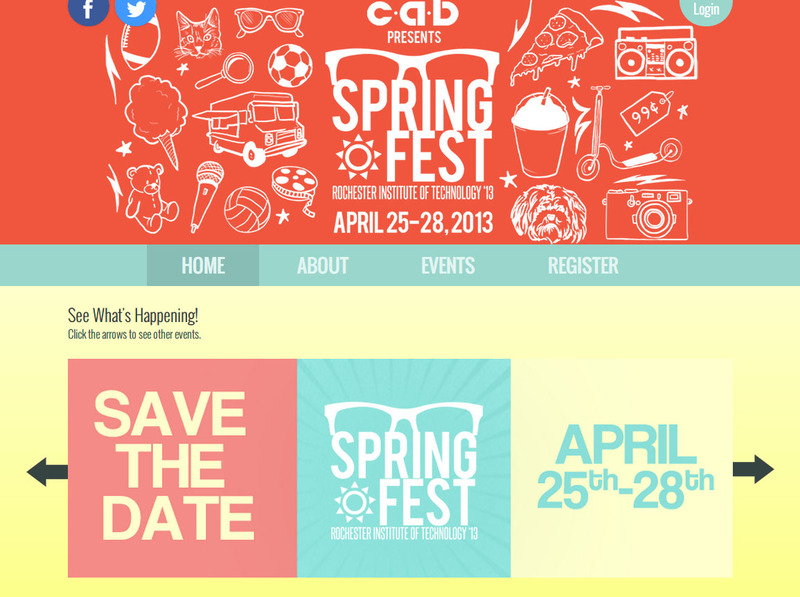 SpringFest is a yearly celebration held during a spring weekend at RIT. 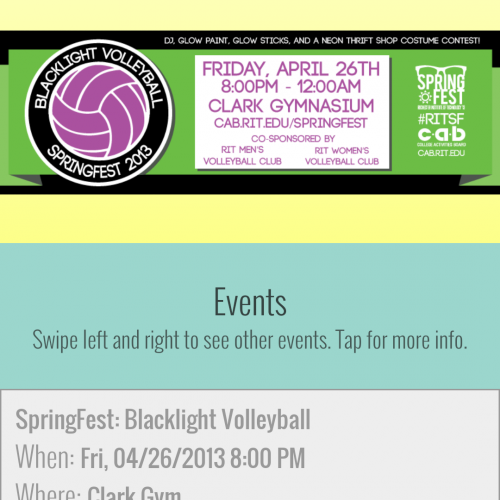 It comprises dozens of events by multiple clubs and organizations on-campus. 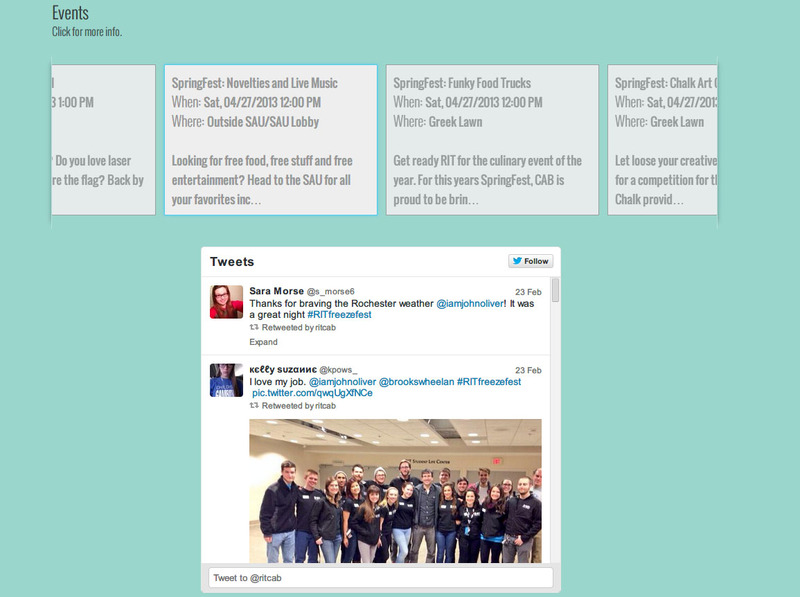 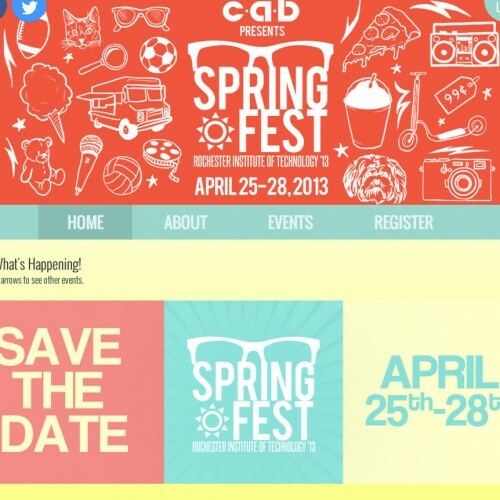 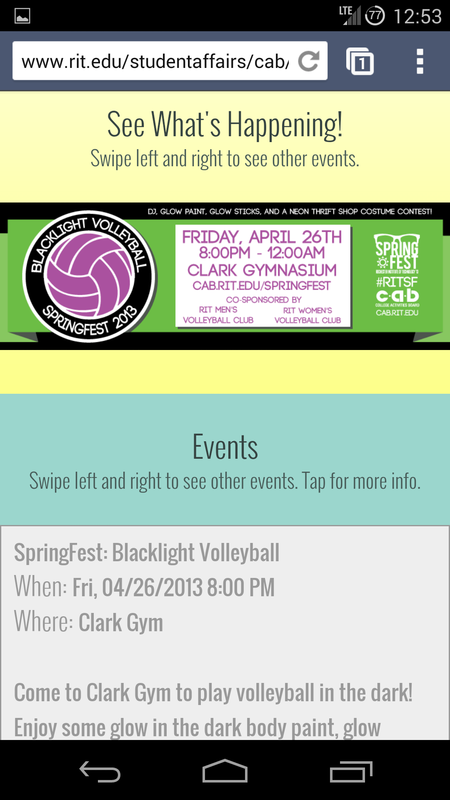 The SpringFest website is a place where all of these events are aggregated, allowing students to get general information about events (including the time and location). 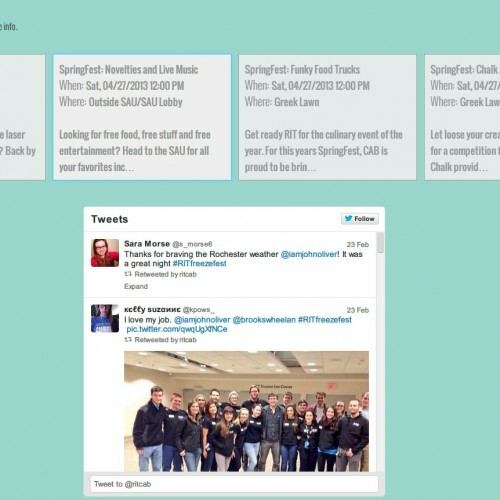 The website includes responsive styles.